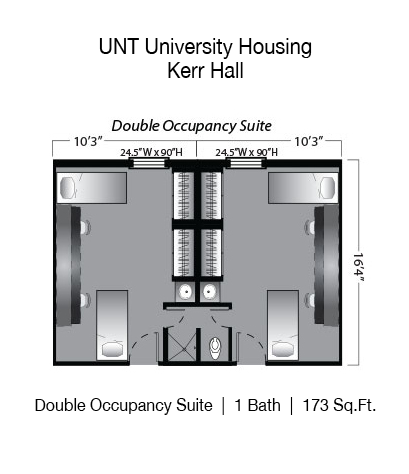 Kerr Hall is located on Maple Street and is the eastern-most residence hall on the UNT campus. 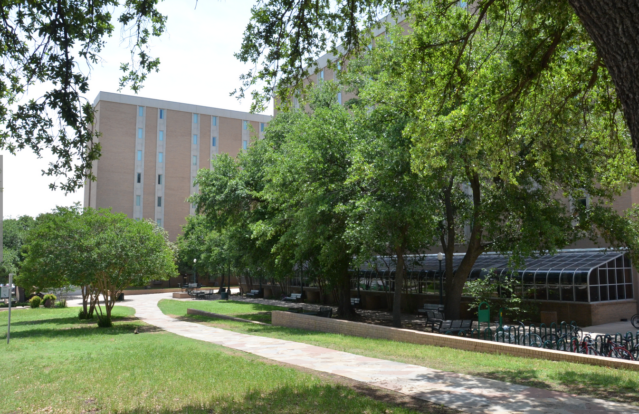 Predominantly housing freshmen, Kerr is UNT’s largest residence hall with nearly 1000 student residents. 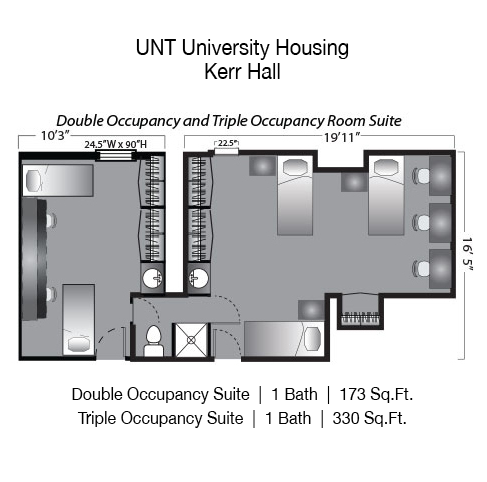 Offering double rooms and a few triples, Kerr is home to 5 of UNT Housing’s Living-Learning Communities. 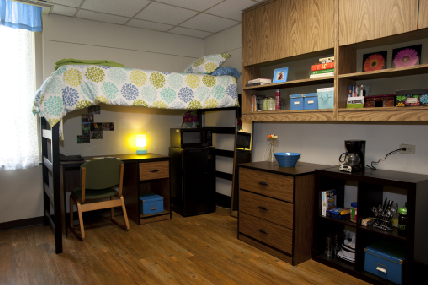 Kerr residents have the chance to live in specialized groups that share majors or common interests. A major hub on campus, Kerr is a bustling, energetic environment with residents socializing in the lobby, grabbing a bite in Kerr Cafe or studying in groups.